Most of us law abiding citizens look up to the Judiciary as the last bastion which Yahapalanya restored after a severe battering prior to 2015.to sort out the mess the country is in due to power hungry politicians. Your Lordships appointment was hailed as parochial issues which predominated in an earlier era where the saffron robed gentry intervened to plant a man unworthy depriving the legitimate much respected Justice Mark Fernando has caused chaos in the country. That incorrect appointment has done untold damage to the image of the Judiciary. Be that as it may, Your Lordship the nation is at cross roads and the findings of the apex court will settle for all time the direction the country will take in the years to come. You may be pleased to know your Lordship that the country has implicit faith in you and the other two much respected judges to deliberate on all matters before you and pronounce a landmark judgment which will consolidate good governance. In judicial parlance its is said that “JUSTICE SHOULD NOT ONLY BE DONE BUT APPEAR TO BE DONE “. It is this saying that made me address this letter. After your announcement of a three member bench,rabble rousers who established new standards in our National legislature pushed for a larger bench.They insulted a country which enjoyed a good reputation in the civilised world where democracy thrived since 1931.These thugs rapists hooch, and heroin and ethanol dealers and office boy frauds appealed for a fuller bench and in line with correct procedure where none can question or add motives you enlarged the bench to seven. Currently a picture has gone viral with a story that the wife of one of the new judges had got elevated suddenly as the DIRECTOR GENERAL of a state entity. It goes without saying that the appearance of this learned judge will not be in his and in the best interests of the panel and most respectfully expect him to step down in the larger interests of the country. None will doubt his integrity but the issues are so sensitive that it is wise to avoid any doubts. For your Lordships consideration and that of the judge in question. May you have a successful tenure of office and fade away with honour and your named etched in GOLD. We pray that you will be blessed with wisdom and right judgment and that the intergrity of the bench will not be hampered in anyway by promotions of a relative or any other hidden favours that may have been bestored on others. Our right of vote has been violated; the president has become the laughing stock of its people and even his sanity is being questioned; the image of the country along with its people, its economy and its morale has been dragged down to an abyss. Therefore please act with responsibility and uphold the dignity of your noble profession; live up to your responsibility to get us out of this mess that the executive and the legislature has created. Let the judiciary; the last pillar on whch the country still stands balancing itself with great steadfastness, patience and hope, not fail the people. If that SC judgment or verdicts impact of long-term of survival democracy nation of Sri Lankan that will be save our democracy governances. Because of that SC has to be proven beyond doubt that imparlitity of conflicts between Parliament and President of the country act by SC stand for right place in history of ours judiciary system and its legal framework . People are supreme of democracy ,no one of the above that to right path of democracy is by reflected Will of majority of Islanders. All the sources of corruptions of democracy of that committed by politician, parties and their leaders of social elements has to be address and rectified not that by SC Judges but by the majority People’s Will. In spite of all my point is that ongoing political CRISIS that SOLUATION must be reflected is go for POLLS before citizens of Sri lankna. We are a nation that used means of election of selected their represtattives democracy since 1931 of that time to time by polls. An Uninterrupted of voting is life-line of Democracy of Sri Lankan. Our right to vote was enjoy by 86 years. That means more than three generations of people of Island are path and form democracy by voting. Judges are Judged by the people. Buy unfortunately the people may not have the capacity to challenge a Judgement without adequate funds in their hands. 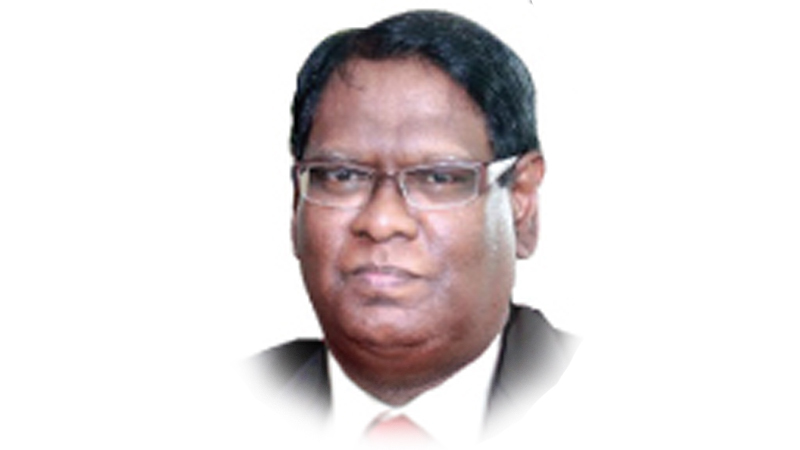 Several lay-Lankans share the views expressed by Ariya de Silva in this ‘Open Letter’. One sentence is ~ “They insulted a country which enjoyed a good reputation in the civilised world where democracy thrived since 1931”. Every country have minorities and every democracies have to face ‘demands’. When we gained independence, the government of the day commenced ‘disempowering the minorities’. Successive governments walked the same path and lately marched the same path. We evolved a version of democracy dressed in band-aids. It took seventy years for us to realise that our version of democracy has not delivered. Whatever the verdict of the Supreme Court, we must reexamine our version of democracy. The SC having little room for that maneuvering of right to vote or exercise power of sovereignty that limited judiciary power remain in any way in the hands of judges. By the people and for the People of that democracy, which is that Right to vote that cannot be challenge by authority of three institutions including judiciary or its Judges. If any unfair things happing an invesiblelly which is against fundamental interest People’s Democracies and live hood of masses by their elected resrestsntives in Parliament, it has to promptly needed to readdress by remain an institution; by that granting right vote is nothing else that more than an accountability of Judiciary must undertaken by Judges. In my view that no way to suppressed right vote by any one of there branches Constitution that will be violated or undermined that whole system democracy that have been ignored that the will of tax payers of citizens of Sri lanka. In history says that USA independent movement has given lessons to us , that are still apply to our nation. .
Therefor this will too apply for ours crisis solution pills to save ours democracy, that is that Right to Vote undoubtedly one and only address that ongoing crisis in Lanka. Judges have enough room to think by positive side on long-term vital interest of democracy of Island. Where are the photos of the thousands of innocent civilians murdered by the civilised LTTE led by the gentle ,civic rights Champion Prabakaran?I think the Author has lost them in such a short time.I will provide you if you desperately need them Chum.stop bull shitting.Guys like you are interested only about the Rights of your Kith and Kin,not of anybody else in SrilankaAre you so partisan?I. beg of you to show some Decency towards the other Communities of your Motherland hello. Prabhakaran has nothing to do with the present political imbroglio. same – side goals and match fixing were in evidence. Nothing else. I sincerely hope that their Lordships will take into consideration what this guy is saying, provided they understand what in heavens he is saying. The freedom of speech of the writer of this article is respected. But that freedom should not be meant to propagate influencing decisions of the bench, especially on a very controversial matter pending in Court, arising entirely out of the crafting of the 19th amendment to the constitution. Don’t take judges of the apex court as jokers. There were judges in the past and there could be in the present who were in the midst of controversies indicating a sense of injustice in their decision making process. I believe this is entirely because the background of persons were never examined in the process of recruiting persons and as a result fit and proper persons were not selected. It is sad to see that aspersions are cast on a particular judge as could be a biased person citing the wife’s recent promotion. The subject of the promotion was never a dispute or controversial until the judge was empaneled to this bench. It is no secret that like punters betting on future events, some lawyers have the habit of guessing which judge would be taking what point of view and according to their guess this particular judge “is not a sure case for our point of view”. Hence some mudslinging. No one ever talks of the fact that the ambiguity in the constitution entirely occurred because a cribbing mind played a big role in putting forward the 19th amendment and it is perfectly alright for him to go scot free after this fiasco. It is indirect influence writing about decisions to be taken by judges.U can write an analysis BUT not referring to the Judiciary !!! I do not know who this person is??? Remember ,No one has challenged the 19 th amend. even after the hurried clauses of dismantalling PRESIDENT”S exec. powers by trasfering some of them to THE PM ,appointed by him ??? IT violates ART 3 ++ art 4 ,again simply , it makes President , RESPOSIBLE,ACCOUNTABLE, but HIS authority has been robbed by pm, This is the whole problem of the crisis !!! U cant do this without going thru. a REFERENDUM !!! Presently, these ammds are Irrelevant,violates the Exec Soverignity I cant understand how they amended ART 70 to 4 1/2 yrs, as there is an already SC order (2002, SLR) that it cannot be amended without going thru a referendum, All these articles are inactive!!! The judges are to interpret law as it stood on October 25th 2018. No influence is possible. If it turns out that the President misinterpreted the law, for whatever reason, then the Supreme Court is to decide if that is true or not. I have repeatedly said I am able and willing to work for the good of the country whatever the decision: and I expect the parties I support to be able to do the same. I hope I am on the side of the majority ‘ordinary people’ of this land. What the President has done is perfectly alright!!! It is not right to amend art 70 , without a referendum the SC order of 2002 remains.19 th amend ,most articles relating to President’s exec powers cannot be absorbed by PM , then it violates Art 3 + 4 ,as it is. This is day light Robbery , Just like the Central bank Fiasco. Still the President has EXEC. powers in spite of the 19 th amend Without a referendum!!! No one had the back bone to Question these as the President was on an agreed governing pact with UNP , till 26 th oct.. Forget legalities about need for referendum. My3 was for four and a half limitation. It is unethical for him to forget it now that he’s on this deluded mission to restore our culture, as outlined by him at the rally in the stadium today. Possibly he thinks that he is justified in his Holy War. To us he is dangerously deluded. He must be stopped. The world has changed; may be for the worse. In today’s context, he’s a dangerous lunatic. Simple fact: he’s there by accident. Let HIM try contesting for President. 5%? We will have to accept Chief Justice Nalin Perera’s verdict. His total fairness and impartiality is vouched for by so many. Even if he rules in favour of My3 and MaRa I will not start saying that he’s another Sarath Silva or a Mohan Peiris. We must learn to accept the views of honest men. But will My3, if it goes against him? There is no un clear reason why ,it shd. go against him . HE has all the reasons legally prescribed in the constitution in spite of clauses that are invalid in the conspired 19 th amendt. violating exec power. robbed by Ranil W .under cover of protecting DEMOCRAZY !!! where was AS or the yahapalanaya cronies during 20/30 years of LTTE Tamil terrorism! people like you and the LTTE diaspora abroad are the bain of the country.